These ecological literature dispensers are manufactured from 100% natural bamboo from sustainable natural sources. 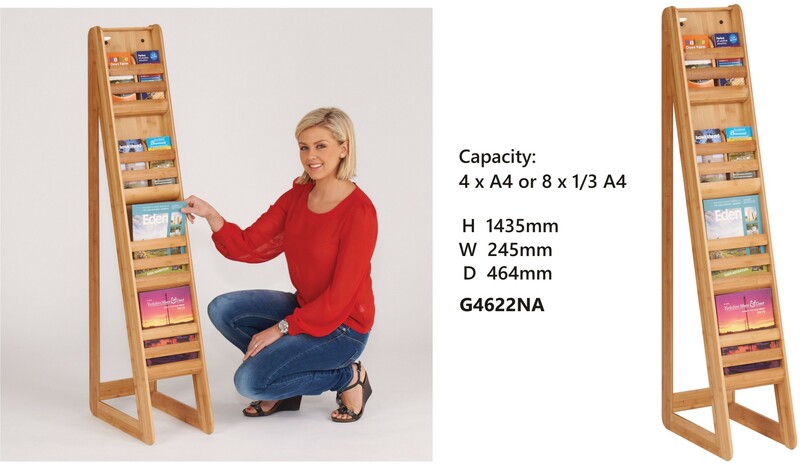 These freestanding units allow for the display of A4 and 1/3 A4 literature. Dividers are included which allow the pockest to be converted from A4 to 2 x 1/3 A4. 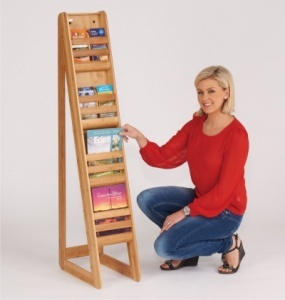 Each compartment holds 45mm thickness of literature. 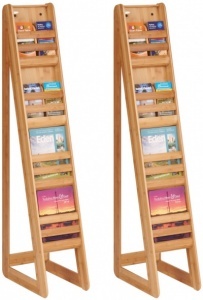 There is also a a range of 3 matching wall mounted bamboo literature dispensers which are available separately.